Old and abandoned. Love it. I love it too. Right by the water. Very cool. What a wonderful photo Jennifer! jen recently posted..traveling the wrong way..
Love it! Exactly the kinda thing I would run over to take a pic of. Have you ever watched the picker sisters? I’m hoping it comes back on tv one day. Two girls in cute outfits ride through the south looking for old stuff to make furniture out of to sell in their trendy LA store. They would be all over this. I’ve never seen that show. It sounds fun. 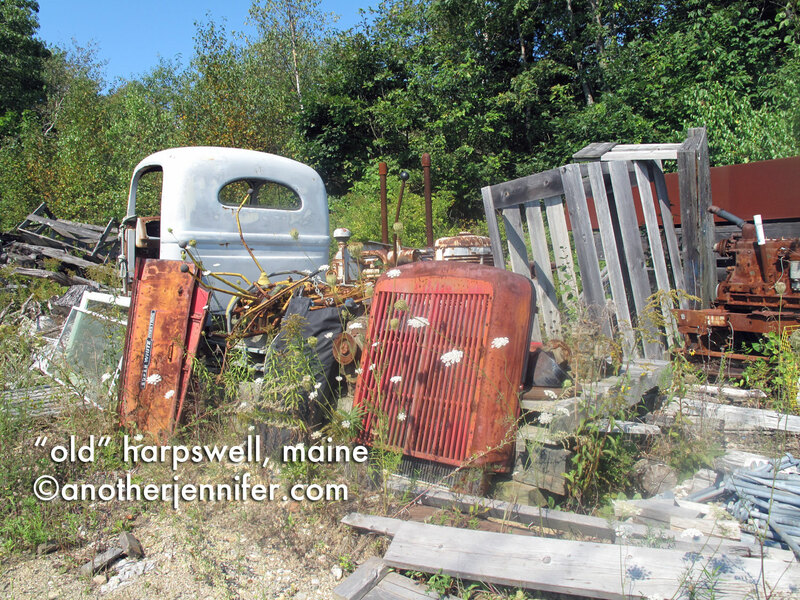 I took this by a dock in Harpswell, Maine where we were picking up lobsters from a bin in the water. There’s always interesting things near docks! Haha. I didn’t get too close. It’s always hard to keep my boys from climbing on that kind of stuff though!